When you are looking to make the investment of installing a pool, you have to think about which one is best for you and your home. It is more than just aboveground and inground, there are fiberglass, vinyl and concrete. Each of them have their pros and cons but one thing that they all have in common, eventually, they will need to be cleaned. One advantage of having a fiberglass pool is that it’s gel coat surface prevents algae from growing which reduces the amount of chemicals that are required to maintain the pool. The shell of the fiberglass pool almost never needs replaced or resurfaced. It is also a very smooth surface. Fiberglass pools have a quicker installation time as well, typically taking about 3.5 weeks to install. Some of the disadvantages are that they have limited shapes and designs because they are build from a mold. They also only go to about 16 feet long and if the need to repair them ever comes up, colors won’t match. Fiberglass pools also cost more upfront than any other types of pools by about $5,000. Vinyl pools are the cheapest pools of the three types of inground pools and there aren’t any limitations when it comes to size and shape. 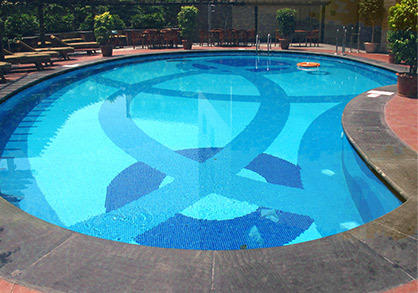 Like the fiberglass pools, the vinyl pool has a smooth surface and it prevents the growth of algae. The biggest disadvantage is that vinyl pools have a greater lifetime cost and will only last 7-15 years and will need to be replaced at your expense. Another disadvantage is that the liner on the pool is relatively thin. You have to be on the lookout for foreign objects like tree limbs and toys so that they don’t get in the pool and tear the lining. Most importantly, vinyl pools have a lower resale value. There is a good chance that the potential new owners will ask you to replace the liner before they buy. The great thing about concrete pools is that you can go as big as you want and design it however you want. There is no limitation other than your imagination. Depending on the pool designer you hire, you can have a genuine work of art in your backyard. You can also add features like vanishing edges, waterfalls, slides, beach entries and so much more. Concrete pools have a high lifetime cost. They need to be renovated every 10-20 years and can cost tens of thousands of dollars. These types of pools also need more chemicals to keep them running because the pool shell raises the pH of the water. This requires acid to counteract the effect. Installing a concrete pool takes the longest amount of time of the three types of pools. It takes anywhere from 2-4 months. 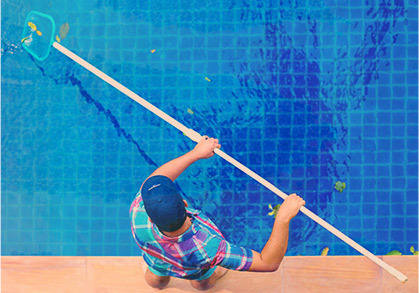 No matter what type of pool you choose, keep in mind that it will need to be cleaned and maintained. 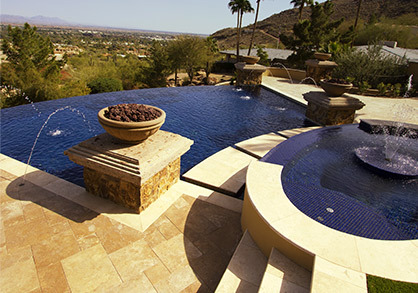 Save yourself time and energy and hire the best pool cleaning service in the Goodyear, AZ area. Call Universal Pool Service today.